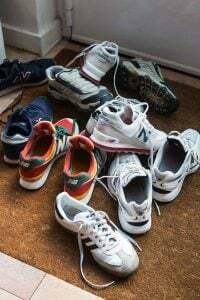 I had some friends over for dinner recently who were moving away, which is always sad, and they were in the full-on stress of moving; packing up boxes, dealing with logistics, selling most of their things, and taking care of the details of deménagement. I had been leafing through Sinfully Easy Delicious Desserts by chocolate expert (and comrade in chocolate) Alice Medrich, who I was introduced to in the 80s, not personally, but though her spectacular chocolate cakes and confections. Her chocolate shop in Berkeley was changing the way we thought about chocolate in America, and I’d like to think my (near-daily) allegiance to the store, called Cocolat, had something to do with it. Alice had learned techniques for making French cakes and truffles, and was getting national acclaim for her extraordinary treats sold in the shop. I was such as fan that when I was baking just down the street, at Chez Panisse, I used to stop in on my way to work for a truffle or a slice of cake. And I finally had the chance to meet Alice, and she became one of my dessert heroes, coming out with some of the best books on baking you can get your hands on. And if you’re anything like me, before long, those hands are likely to be smeared with a little bit of chocolate. These desserts are meant to be made without machines or stand mixers, using ingredients most people already have in their pantries. It’s “freestyle” baking, and although she presents an excellent recipe, the recipes have a lot of leeway built-in, so you can go off on your own in whatever serendipitous and chocolatey (or other) direction you want to go in. I was attracted to this dessert because I had all the ingredients on hand – chocolate, butter, eggs, and sugar – which is part of the idea of this book, and because I love chocolate almost as much as Alice. I also like the fact that these can be made in advance, chilled, then brought to room temperature and baked right before you need them. Which is exactly what I did for my dinner guests. I topped the hot chocolate puddings with a scoop of frosty buckwheat ice cream and a flurry of quick-candied almonds (recipe in The Perfect Scoop), although you can use regular toasted sliced almonds, which probably aren’t as likely to disappear before guests arrive, and the bowls were scraped clean. For that evening, I’d made the desserts in heatproof café au lait bowls using the recipe, which resulted in a very soft, molten pudding. Then the next day, I tried them again in ramekins, reducing the butter and sugar a bit, And you can see in the photos that the smaller ramekins came out a little darker and the pudding were a bit more cake-like. So you can do them either way. The proof is in the pudding. Adapted from Sinfully Easy Delicious Desserts (Artisan) by Alice Medrich.To show how versatile this recipe is, I made them twice, varying the recipe, which resulted in two delicious types of dessert. I dialed down the sugar and reduced the butter, and each one had its own distinct personality. So feel free to use either 3- or 4-ounces of butter, depending on if you want them very creamy (4 ounces) or a little more cake-like (3 ounces. )Baking times will vary based on what kind of vessels you use. And you can fill them as much, or at little, as you wish – depending on how big the portion size you want is. Just bake them until a crust forms on top and a toothpick inserted into the center comes out with some gooey batter attached. 1. Preheat the oven to 375ºF (190ºC). Set ramekins or baking dishes on a baking sheet. 2. Put the butter and chocolate in a medium-sized bowl, and set the bowl over a pan of barely simmering water, stirring gently until smooth. Remove the bowl from the heat. 3. Using an electric mixer, or by hand with a whisk, whip the eggs, sugar, and salt until the mixture is light and foamy, and just holding its shape – about 5 minutes with a machine, or longer by hand. Fold one-third of the beaten eggs into the chocolate to lighten it, then scrape the lightened chocolate mixture over the beaten eggs, and fold it in just until there are no streaks of eggs visible. 4. Divide the batter into the baking dishes, filling them no more then 3/4rds full. 5. Bake the puddings on the lower rack of the oven for about 15 to 20 minutes until the puddings are puffed up, but a toothpick inserted into the center comes out with some soft, “gooey” chocolate attached. Serving and Storage: These can be served immediately, or according to Alice, you can “let cool, cover, and keep at room temperature for up to a day.” You can likely freeze them and bring them to room temperature before baking, although since they’re so simple to make, I advise making them fresh for best results. Notes: I modified the original recipe, which had 2/3 cup of sugar since I was serving them with ice cream. Reducing the sugar makes them a bit less-moist, so it’s up to you to decide which you prefer. Alice doesn’t butter her bowls but I did the first time, yet not the second, and couldn’t discern much difference, so she likely left it out since it’s not imperative and is one less step. I don’t believe my eyes. Where in Paris do you find sliced almonds?! Those look yumm David ! I am in India now with almost no access to fancy schmancy equipment and trying to teach my 9 year old niece and 5 year old nephew some baking, this is the perfect beginning ( not to mention they both love chocolate.. Well who doesn’t?!?) Thanks for being our guide ! My local Carrefour has sliced almonds in the baking section (next to the dried fruit). The bags aren’t particularly big, but the price isn’t too bad. Pecans, on the other hand, I’ve only seen in expat stores – with outrageous pricing, of course. Anyone know a cheaper place to find them? It’s kind of nice to know that I’m not the only one who may have traumatized children by dessert. I have a tough time remembering that a lot of kids don’t like desserts that include things like Valrhona bittersweet chocolate, burnt caramel or espresso, and desserts that aren’t super sugary sweet. Thank you so much for bringing up a fantastic receipe by Alice Medrich. I was also addicted to her shop and my mother even took a class from her..my mother now has very little sight left and it is still a book she will not part with. I make her ‘brownies’ every year at Christmas here in London and portion them out like they were gold. Such a lovely flourless chocolate wonder. I grew up in Berkeley, and one Cocolat cake in particular was a regular at home — a thick, rich trufflly ganache layer over a crumbly, fairly dry and not too sweet chocolate crust. Too intense for me as a child, which might have been the plan? Of course I grew to appreciate and then love it. The Gourmet Ghetto isn’t the same without Cocolat. Or Black Oak Books (moved down to San Pablo Ave.) Do you ever make it back? Barbra: I am pretty sure you could steam these (sorry about not having an oven!) – although as you know, you won’t get the crusty top. Judith: Yes, her shop was amazing. So few folks knew that much about dark chocolate back then – although we had brownies, etc – in America, that was certainly an era of “coming of age” for chocolate appreciation (along with flourless chocolate cakes and molten chocolate cakes). Catherine: Her lowfat baking book is also amazing. 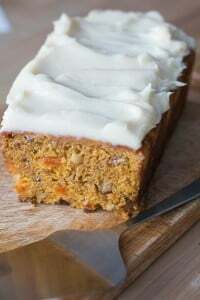 I love the Yam-Vermouth Cake from that book, as well as the buttermilk pound cake. Amelia: I never buy pecans in France because they are usually rancid by the time they reach us; pecans are especially prone to rancidity, more than other nuts. So I usually bring them from the states, where they are also pricey, but the qualtiy is high. Cocolat, gone but not forgotten. This looks wonderful and if you are willing to bake it in more of a pie dish looks like something for a buffet-style party! Oh, YESSSSS! Easy to make, on my partner’s very limited diet, and looking delicious beyond belief. I could look up recipes for mi-cuit, but once again you deliver. Thank you! I can already tell that this recipe is a keeper. Yummmm! I’m going to make this dessert this weekend, for sure. Last weekend I made your Gooey Cinnamon Cake and it was a major hit as well as being ridiculously easy so thank you for that recipe. But David, I’m confused by this part in this recipe.. Does this mean after you mix 1/3 of the beaten eggs into the chocolate then you pour the chocolate/egg mixture into the remaining 2/3 of the eggs? Yes, that’s how it should be done. I added the word “lightened” to the recipe, to make it more clear. But the step is basically: Lighten the chocolate with some of the eggs, then fold the chocolate mixture back into the eggs. It’s 10 in the morning here in Nashville and this recipe is calling out to me. If I succumb this early, what will the rest of my day look like? Mercy me! This looks amazingly easy to make! I’m always a fan of recipes that use just a few ingredients… it allows everything more room to shine. I can’t wait to whip this one up! Alice Medrich, through her books, taught me how to bake and create with chocolate. My copy of Cocolat, over twenty years old, is stained in chocolate. I finally had to type out her recipes for buttercreams, ganache, and cakes to keep the book readable. This pudding sounds delicious. Such a nice reminder of the years I lived in Berkeley, and the delicious chocolate treats from her bakery. Thank you. I just woke up and I’m craving this now though it’s probably not the best idea to have this for breakfast. It also reminds me of Nigella Lawson’s Chocohotopots which I’ve made many times and are fantastic. Also, I’m not sure if I understood correctly but in the article it says you made the pudding a second time with less sugar and butter and it came out more cakey but in the recipe it says to use 4oz butter instead of 3oz butter for a more cake like texture. Amelia, Do you have friends in Switzerland? We have pecans in our national chain grocery stores, Migros and Coop. They are not cheap but when you want them they are available. They are also at the stores on the French side of the border near to us. I hope this helps. Thanks for the recipe David, this looks like the perfect remedy to the huge amount of snow we are getting here in the Alps! David–Haven’t made these yet but will do shortly. Confused about one instruction. 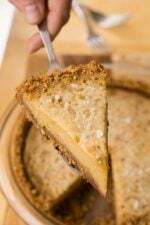 First paragraph in recipe says that 3 oz butter gives creamy texture and 4 oz gives more cake-like texture. The write up preceding the recipe, though, says that your LESS butter version was more cake-like. Should the recipe advice be reversed? 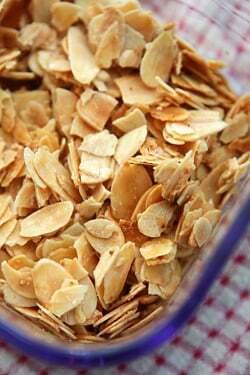 I’m sort of laughing at everyone bemoaning the lack of sliced almonds in Paris. We have everything in SoCal but I would give it all up if I could live in Paris. Enjoy your holidays, mes amis. What a great recipe! Formerly of the “no recipe is too complicated, too pricey, or requires too many exotic ingredients” challenge group, I am now more interested in being able to make delicious things with what I have in my pantry. We are blessed in California with an abundance of nuts. We provide 80% of the world’s almonds – other countries like Syria, Spain, Italy, Turkey provide the rest. And we have access to wonderful fresh almonds and pecans and other tree nuts. Some years ago my American friend who lived in France asked visitors from the States to bring her nuts and other food items. I remember taking a suitcase with tortillas and other ingredients for the Mexican feast she prepared for me and her French friends on my birthday. Thanks, David, for your unique no-nonsense approach to wonderful food. I had the great good luck to work at Cocolat in the 80s-I have all of Alice’s books and in my mind she is the best in America. (I know… but you don’t live here David)Her linzertorte is divine! So many of my favorite taste-memories came from that time-the framboise truffles, the Sara Bernharts, Marjolaine, Pave d’Amour-I still make the Gateau Royale for my birthday every year. I learned so much from her-mwah Alice! and thanks David for sharing! 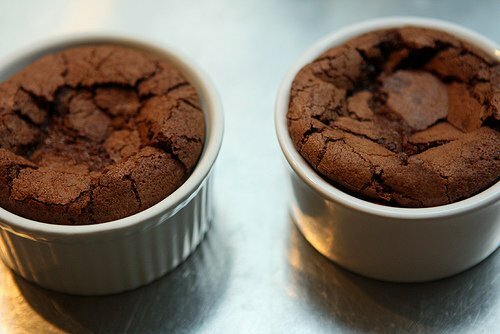 To me recipe seems related to that bliss moelleux au chocolat. I saw plenty of amandes effilee at G.Detou reasonably priced..I think. Why does 3 ounces of butter make a more creamy result vs. 4 ounces more cakey? I would have thought it the opposite. My grandson would have loved your spicy tagine – for him, the spicier the better (and he isn’t 2 ½ yet! I rather think he’d love this pudding, too – he is just getting into what he calls “Locklit hot!” and he loves cake…. Great recipes wish I could print them!! !Please add a print button. Quick question. In order to make fresh, do you just put them together ahead of time and refrigerate, and then bake when it’s time? Yup, just remove them from the refrigerator, giving them sufficient time to come to room temperature before baking – about 30 minutes. I have made a similar recipe from Lucy Waverman’s ‘Dinner Tonight’ (Lucy is a Canadian cookbook author) many times. Slightly different than yours, Lucy’s recipe is baked in one dish in a bain marie, which results in a very gooey pudding centre with a crisp crust. I go to St. Lawrence Market in Toronto to get Callebaut chocolate to make it and it is always a huge hit. 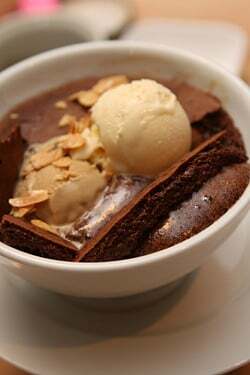 The recipe is called “fallen brownie pudding”, but we’ve renamed it “falling down brownie” because it makes us swoon for more! Your sliced almonds sound like a great addition–will try it next time. Enjoy your posts. Thanks. What do you think the idea of ​​eating oranges and tangerines straight from the tree at your home in 3 \ 5 working days? I use to have Alice Medrich’s lowfat chocolate cookbook, lost it in a move somewhere, though. Her low(er) fat brownies are still some of the best brownies I make. Was wondering what that was in the newsletter- looked up and down thinking I had missed the recipe!! Thanks!! I was enchanted by the photo. Now if I can stop making the Baci di Dama, I will move onto to this one! Sliced almonds in Paris– When I was there this summer I saw that they had a Marks and Spencer on the Champs D/Elysee with a food section that was like the one I go to in Bratislava, which is my source for sliced almonds (and a whole lot of other goodies I can’t find/get anywhere else where I am.) So you might try there. 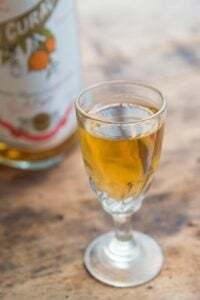 Sarahb1313: There are recipes in my monthly newsletter, as well as other stories, tips, and information. To get it sent to you each month, you can sign up here: Newsletter signup. Marilla: Because I started the site when there was no print options, at this point, I would have to go back and reformat all the recipes on the site, which would take weeks – and unfortunately I don’t have the time. You can use a site like printwhatyouwant.com, or just cut and paste the recipe into a Word document and print it out easily. David M + Rachel: That should be showing up correctly. If not, hit the refresh button on your browser. Susan: You can bake it in anything heatproof, including coffee cups! 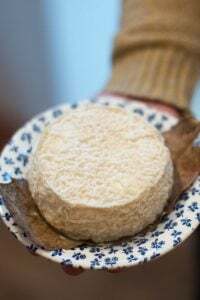 It’s rather wet and would not present as nicely if baked in something larger, but you could certainly do it and spoon it into serving bowls or cups. Oh, yummy, gotta try this! I love Alice’s brownie recipe that’s on the Wednesday Chef’s site. That molten center looks incredible! 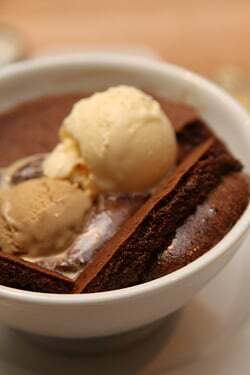 I do enjoy a good brownie, or flourless chocolate cake, and especially molten chocolate cakes a la mode. 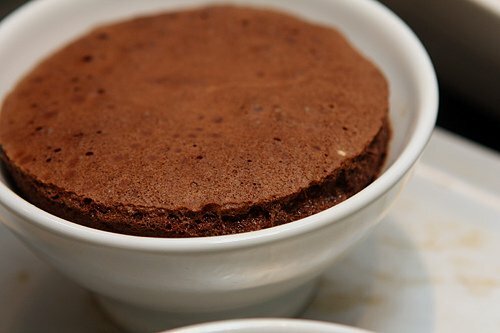 Chocolate souffles however have always been a huge letdown. We just went to the famous Chez Jacqueline in San Francisco and had one made by the pro herself. They’re just not delicious, certainly not enough to justify the calories. I’m certain many would disagree, but that’s my opinion. Looks delectable, thanks for sharing! 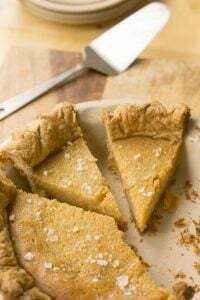 Could you please clarify the butter/sugar recommendations you mentioned that alter the baked texture? Butter: Use 3 ounces for cake-like, 4 ounces for runnier texture. I used 6 Tablespoons sugar, the original recipe used 2/3 cup. Rarely did an issue come out withOUT her name in it somewhere. Oh my gosh, so amazing. And I just got back from Trader Joe’s with 2+ lbs of bittersweet chocolate. It’s the best I can get in East TN! Love the idea of serving this in coffee cups. THANKS, David!! The kind of dessert that uses only ingredients from one’s pantry are dangerous! I love that crust, will bake some up soon. 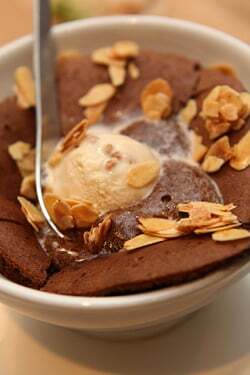 David, there is an awesome old cookbook, “Cleora’s Kitchen,” that has a recipe for “baked fudge.” It is a somewhat like this hot chocolate pudding, but with loads of pecans in it. It was a favorite of the ladies who lunch in a little tea room in Tulsa, Oklahoma. It’s so good that whenever guests know it is going to be made they just wait at the table for it to come out of the oven, no matter what time of day it is. It is served warm over ice cream. Would you like the recipe, if you don’t already have it? Thank you, David! 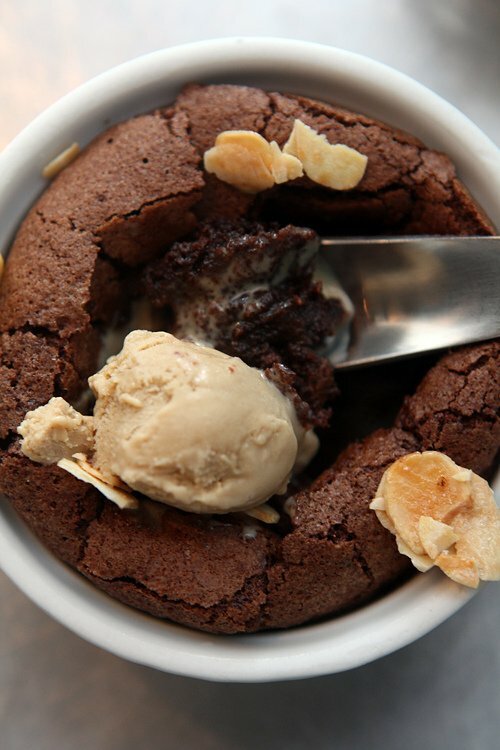 Been dreaming about this dessert since you tucked the photo into the middle of some other post. Can’t wait to make it! This looks totally amazing. I may give the almonds a pass – not a huge fan of nuts in my food. I love how the recipe so simple and you can make this without fancy equipment. I am not an expert on egg-free baking but if your son has the allergy, you likely have something that you bake with in place of eggs? I would try that. Sometimes prune puree (or baby food fruit puree) works in place of eggs, but I haven’t had much experience. I have some stuff for binding but I usually use those in cakes or cookies. Would that be appropriate? I grew up in the BayArea and loved Alice and Cocolat. My mom and I took several cooking classes from Alice, she’s a great teacher and a nice person. 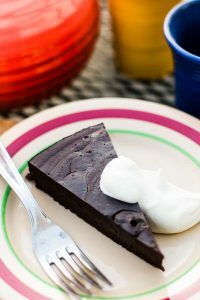 I still make her chocolate chestnut torte (recipe is in the Cocolate cookbook) every time I need an easy elegant desert! David this recipe speaks to me. It calls me by name. I dream about it. Thank you so much – this was like a Christmas present! This looks just dreamy. I used to make desserts like this quite often, but I haven’t in a long while. I’ll have to put these back into my repertoire! I tried them right away. They are in the oven and i am counting the minutes, tick tack tick tack…. I was about to say this looks sinfully delicious…and then I saw the title of the cookbook from which it was adapted. Seriously, this has to be a no-brainer – easy to make, perfect for chocolate lovers…and with a scoop of gelato would be elegant or casual for any occasion. David, can this recipe be halved (there are just two of us) or can it be frozen after cooking with a resonable result? Or can the uncooked portions be frozen? Also David, sorry to be a pest, but can you translate the 3-4 ounces of butter into tablespoons? Thanks! A really good recipe for this hollidays, specially for those who love chocolate. And the almonds just add a crunchy texture that goes well with the soft pudding. How lovely to hear about Alica again. Cocolat was indeed an amazing shop, especially for the times. I even sent Lisa to one of her classes as a birthday gift, never thinking we would get to Paris to experience French chocolate there. Six to 8 tablespoons is 3 to 4 ounces of butter. Also half a cup is 4 oz or one stick here in the US. Thank you Carolyn! I’m going to make this treat tomorrow for a small dinner party. I appreciate the help. Little Paris Kitchen is airing in the US on the Cooking Channel now and Rachael Khoo had a version of these this past weekend. She piped salted caramel into the center. Looked very tasty! I made this last night for my chocolate-crazy son. It was a HIT! Thanks for the super easy recipe and the notes on reducing the sugar and butter. I made this last night for my chocolate-crazy son. It was a HIT! Thanks for the super easy recipe and the notes on reducing the sugar and butter. Next time I’m bringing out the whisk attachment on the handheld blender though. My arm almost fell off whisking the eggs! Pecans don’t travel or store well. I made this last night in ramekins! My oven isn’t the best so after 17 minutes I turned off the oven and let them sit for another 5 minutes. Topped with a spoon of Schlag (whipped cream). I think I may cut the sugar a little more next time…still a little too sweet for my taste. And make sure to use high quality chocolate! It makes a huge difference. Thanks David for all of your great tips! And recipes! Can you share recipe for the spicy North African stew? Love the crispy crust and the silky interior. This sounds like a wonderful dessert for a cold winter night. No flour? No milk (except the butter)? There was much rejoicing! Oh yes….I am making this VERY soon, or as soon as I work my way through the dozens of holiday cookies already piled on my counter. I’m ready for my chill-pill chocolate pudding. I can almost smell it. I made these for the second time, modified. I used 4 TBL sugar as it was a bit sweet for our taste using 6 (without ice cream!) since I mistakenly bought medium eggs, I improvised and used 3 eggs plus 1 egg white. I had to increase the baking time by a few minutes and then turned off the oven and let them sit for another 5 minutes or so. So easy to make ahead and everyone enjoyed! Oh how I miss Cocolat! They had the best dark chocolate truffles in the universe. My Dad and I would walk in and buy one each. It was the highlight of our day. And I’m pretty sure that every one of my birthday cakes for years was their divine Chocolate Ganache cake with fresh raspberry filling. Yum! I made these for a dinner party the other night and they were wonderful, and an enormous hit. I used the 2/3 cup of sugar, 70% chocolate and served with unsweetened whipped cream. Very nice balance of flavors, good texture. 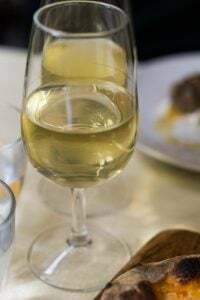 I made the mixture the day before, filled the serving pieces (the Revel ‘froisse’ cups http://www.discountkitchenwares.com/products-page/tabletop-wine-and-bar/tabletop-wine-and-bar-coffee-mugs-and-cups/crumpled-cup/ . The recipe filled to 3/4 full capacity five 6.25 ounce cups, perfect since we were five for dinner. ), then covered each cup tightly with foil and stuck the whole baking sheet in the fridge. I took them out of the fridge several hours before they were baked. They took about 17-18 minutes to cook to warm, gooey perfection. Going in the repertoire. Re: Pecans – They store very well in the freezer and defrost without a problem. I’ve had pecans I bought in bulk that I stored in the freezer for well over a year without them going rancid, though they did dry out a bit. Made this today and it was killer. Since we were traveling for dinner, I baked them off for 15 minutes then let them rest with the oven off and the door cracked for another five. When we were ready, I warmed them at 200 for about ten minutes, just enough to take the chill off. If they were that good rewarmed, I’m eager to try them freshly baked. 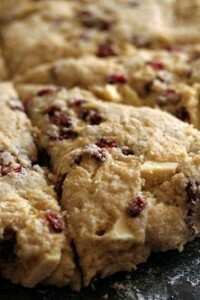 I think these would be terrific with some espresso powder or some cinnamon and ground chiles. 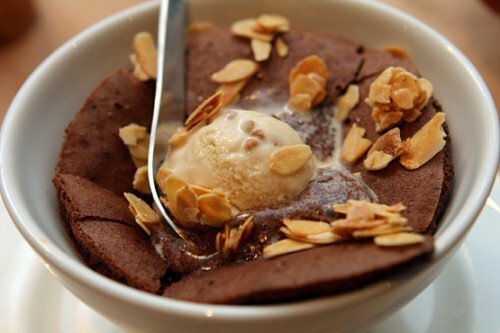 These look amazing, and the buckwheat ice cream sounds incredible! Just got Ms. Medrich’s latest book for my birthday, and this cake is at the top of my list to try. Your variation looks exquisite. 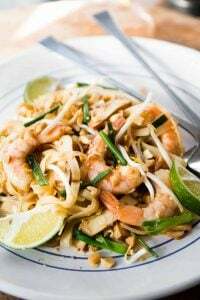 I’ve made this fabulous recipe 3x now – beyond delish! Quick and easy to make. This is so easy and it is so good!